Today marks the start of a blog tour by a very special elephant - The Elephant of Frimley. 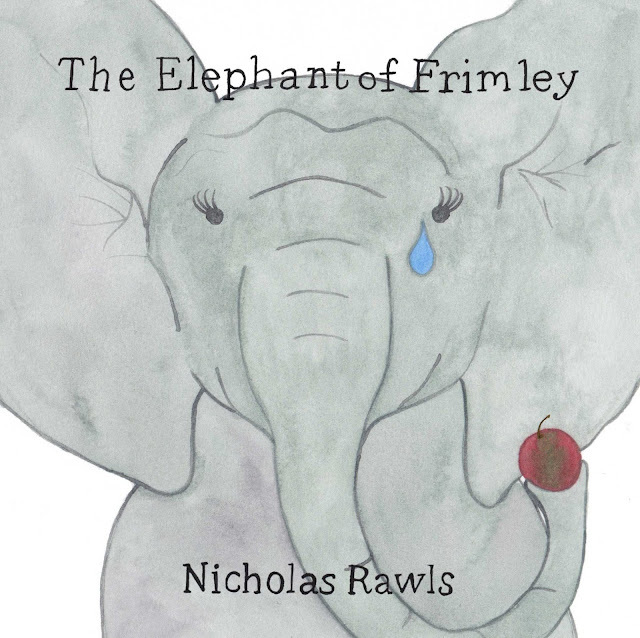 The Elephant of Frimley is a rhyming illustrated book for children. The story is about two sisters and an elephant who is, to all intents and purposes, lost. I was drawn to the book because Lara and Holly were both born in Frimley so we were all a bit curious to find out about whether or not there really was an elephant to be found there. The book was originally written by Nicholas Rawls as a bedtime story for his own daughters and we've found it to work very well as a quiet, calming rhyming story before bed. Each page is illustrated and includes a verse of rhyming story. The story features a sad elephant who the girls, Hannah and Emily, find has wandered into their own back garden. I think my two girls would squeal with delight if they found an elephant in our garden! 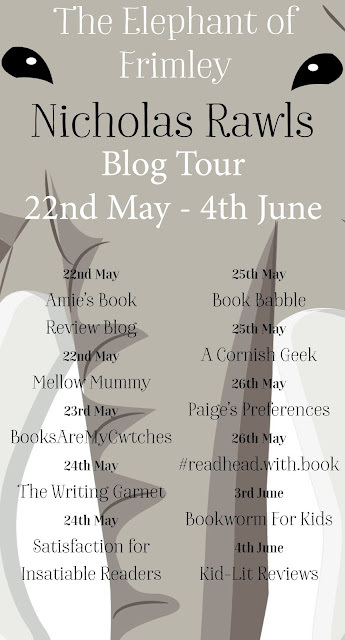 I'm not sure my two would be so conscientious as the sisters in the story book though; they set themselves a challenge to find out why and where the elephant has come from. At the end of the story the girls are thanked by a local zookeeper for returning the elephant. While I'm sitting here wondering quite where in Frimley you might find a zoo, the girls think that the very last line of the story is hilarious because of the attempts to rhyme and scan Frimley (that's what a love of phonics in school does for you). We thought the rhyming was very clever and the illustrations were sensitive in this little children's tale.